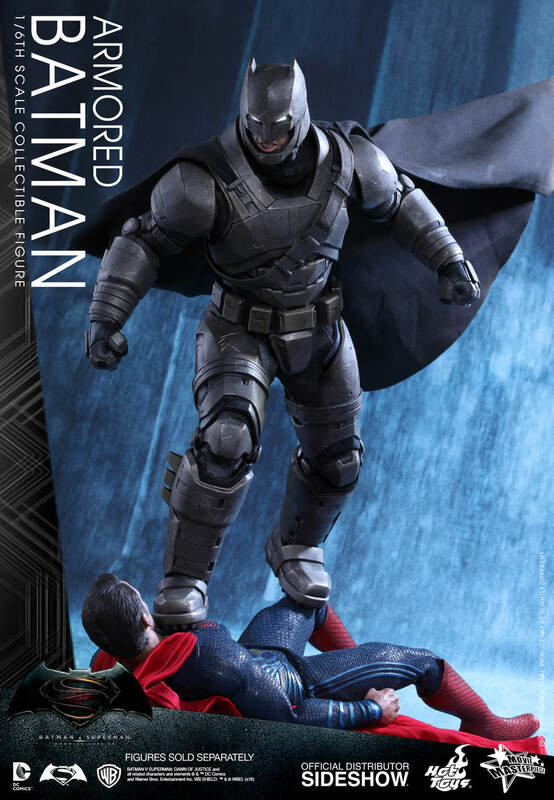 The epic confrontation between Batman and Superman will finally hit the silver screen this March in Batman v Superman: Dawn of Justice! 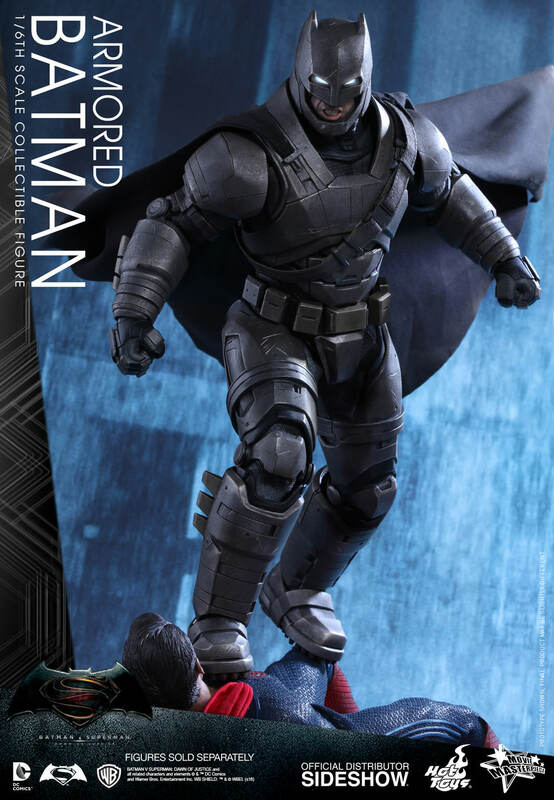 After witnessing the chaos Superman brought upon Earth, Bruce Wayne is determined to stop the Kryptonian and dons his heavily armored Batsuit to take on the powerful Superman in the “greatest gladiator match in the history of the world”! 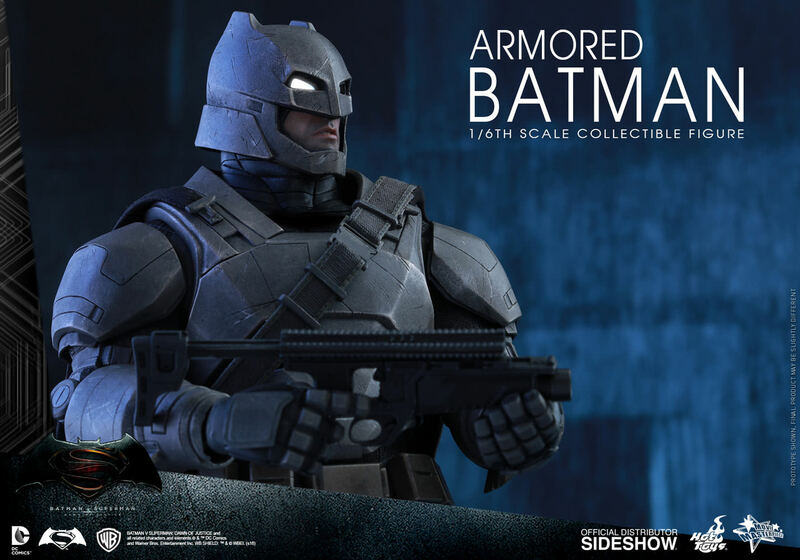 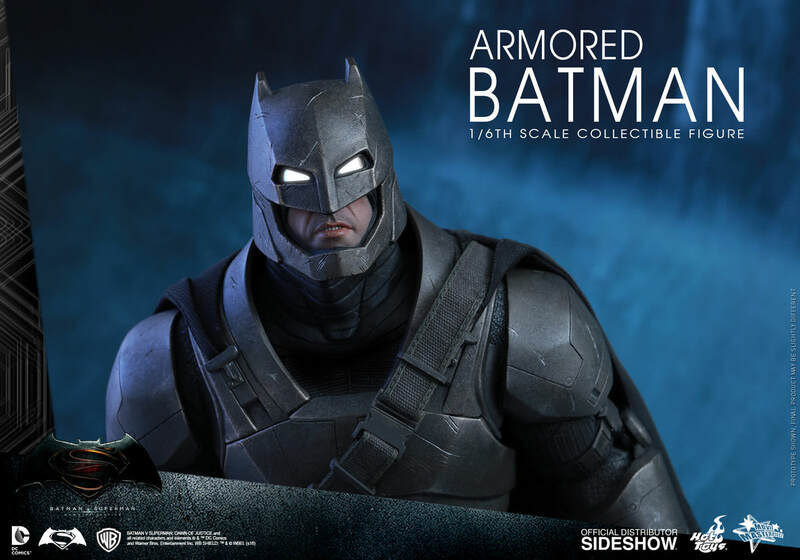 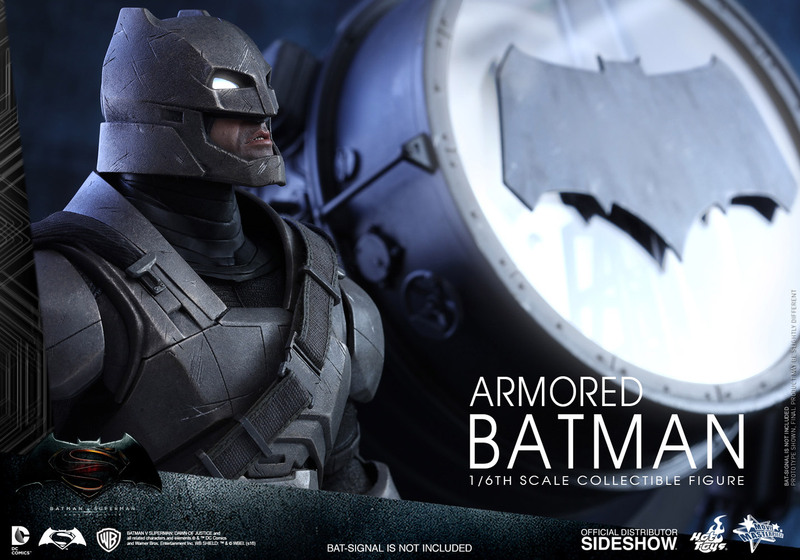 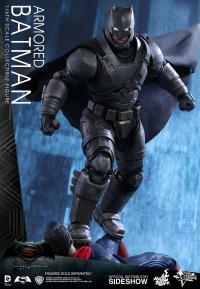 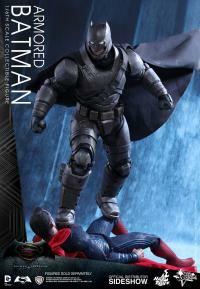 Sideshow and Hot Toys are very excited to present the sixth scale collectible figure of Armored Batman! 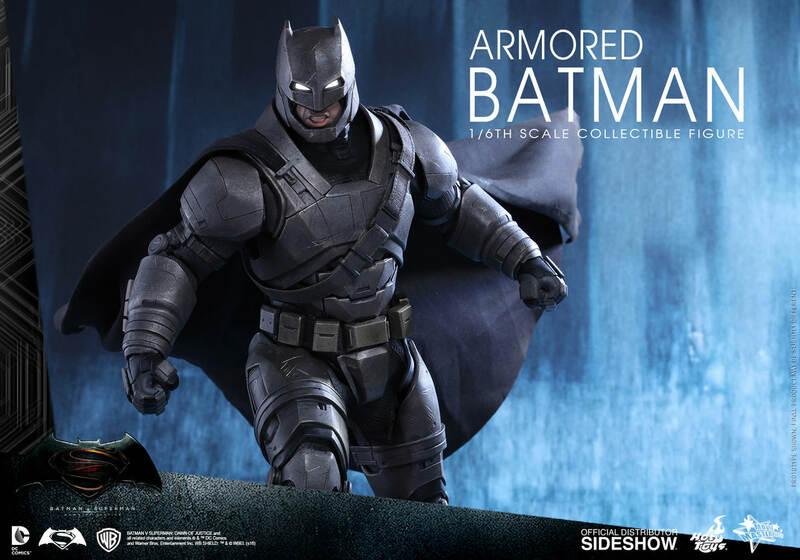 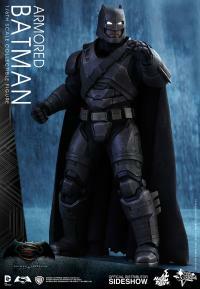 The movie-accurate collectible figure is specially crafted based on the image of Ben Affleck as Armored Batman from the film. 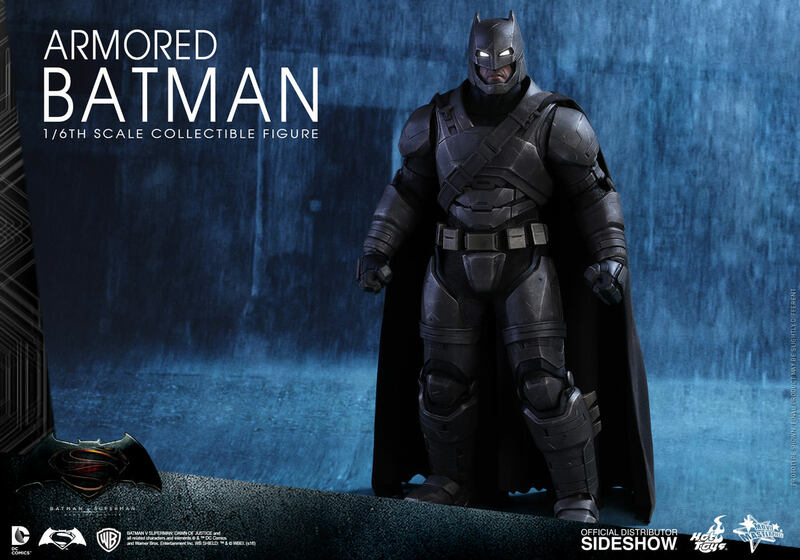 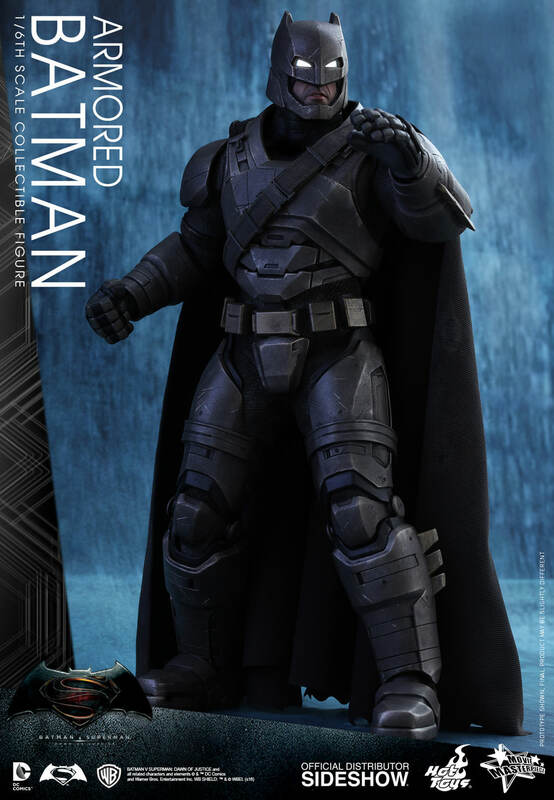 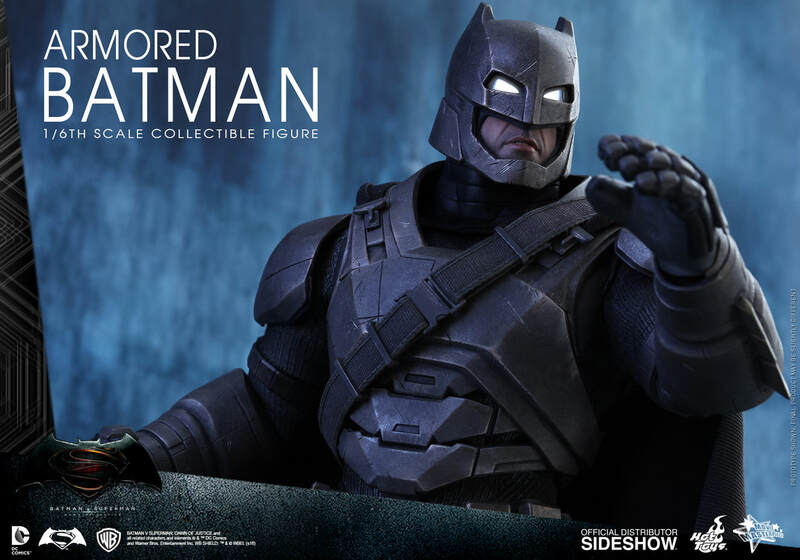 It features a newly developed armored head with LED light-up eyes and two interchangeable lower faces capturing Ben Affleck’s facial expressions, meticulously crafted armor with weathering effects, detailed Batman weapons, and a specially designed Batman v Superman: Dawn of Justice themed figure stand. Don’t miss the opportunity to add this incredible Armored Batman collectible figure to your Batman v Superman: Dawn of Justice collection! 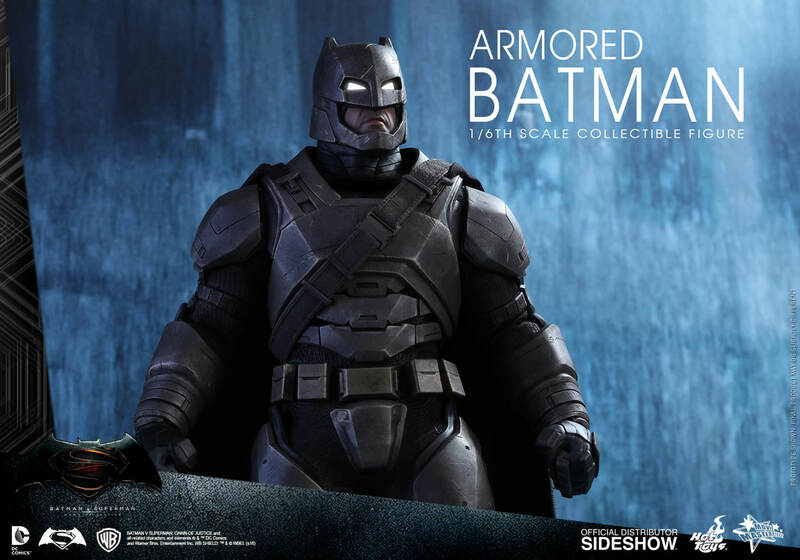 BATMAN V SUPERMAN: DAWN OF JUSTICE and all related characters and elements (c) & (TM) DC Comics and Warner Bros. Entertainment Inc. WB SHIELD: (TM) & (c) WBEI. (s16)(c) 2016 Hot Toys Limited. 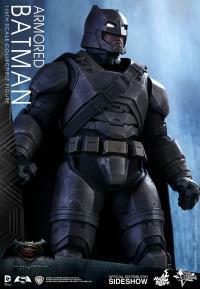 All Rights Reserved. 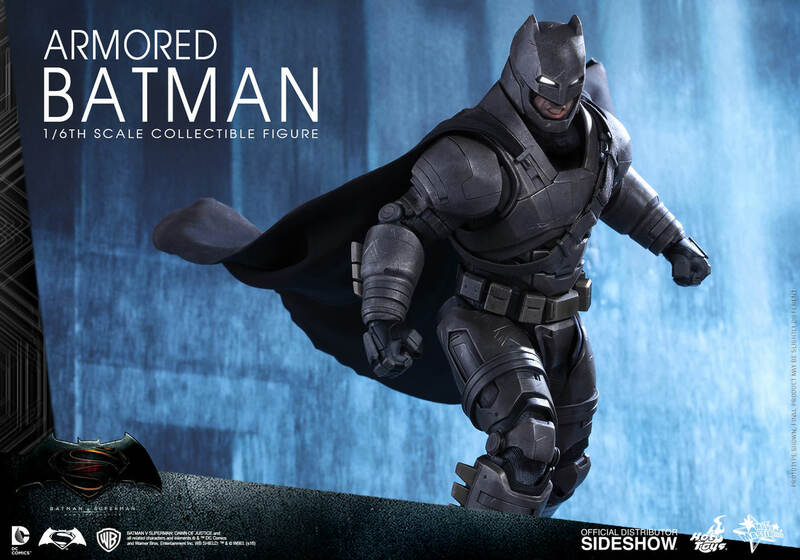 Great item I love it. 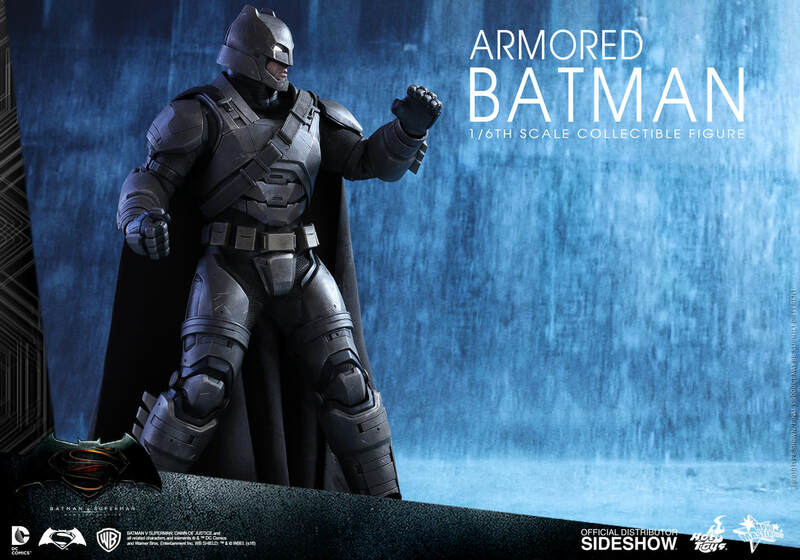 Finally, an Armored Batman inspired from Comic book in my hands!! 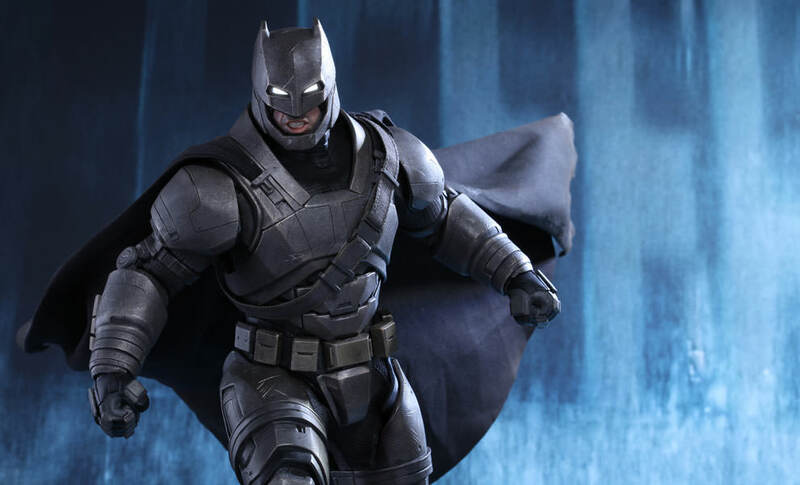 Excellent, Beautiful and highly detailed! 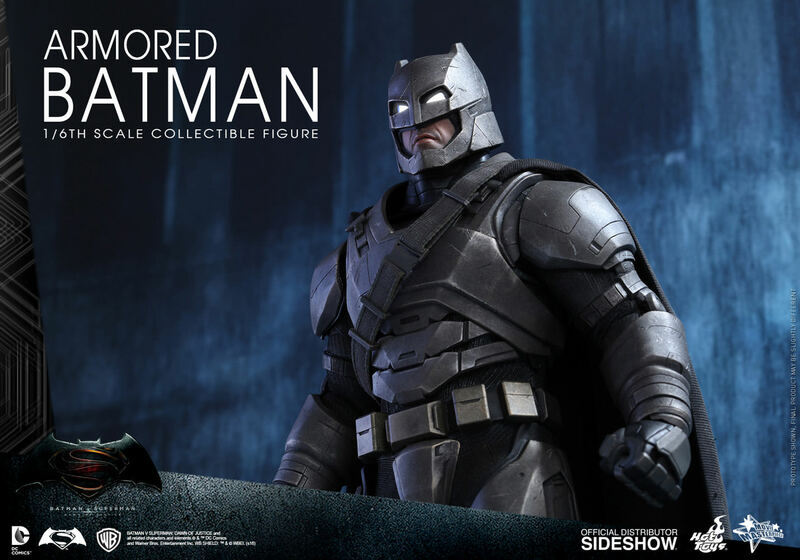 I love it!! 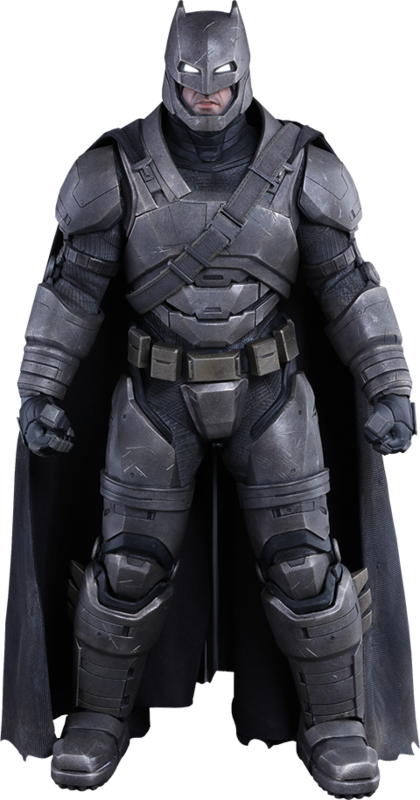 I have the figure, is great, but the articulations are so limited, and is really dificult to make diferent posses with the figure. 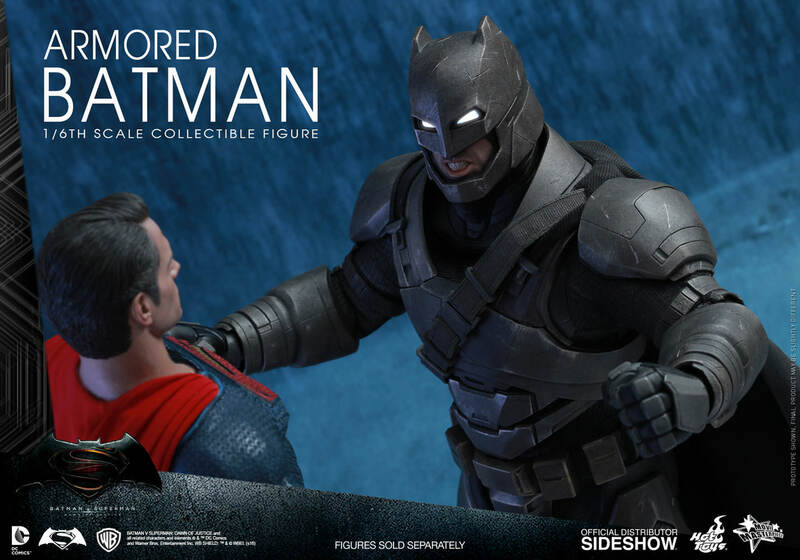 the head sculpt and accesories are awesome! 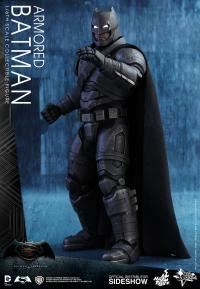 and the figure stand is really great, the lights up eyes are a great and beautifull deatail.